As I write this post, I’m giddy from the fact that pitchers and catchers report in only a few short days! I’ve been so busy over the last few weeks that this realization is just starting to hit me. Baseball is almost here!!! About two weeks ago, the temperature was cold and winter was still on my mind. 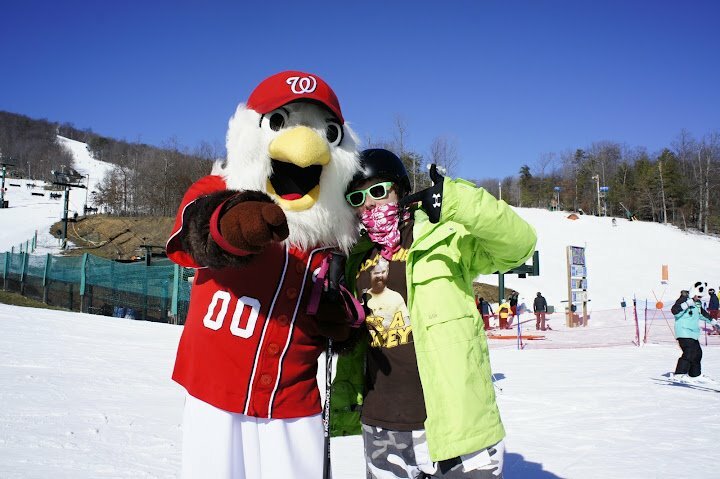 I decided to head up to Whitetail Ski Resort in Mercersburg, Pennsylvania. 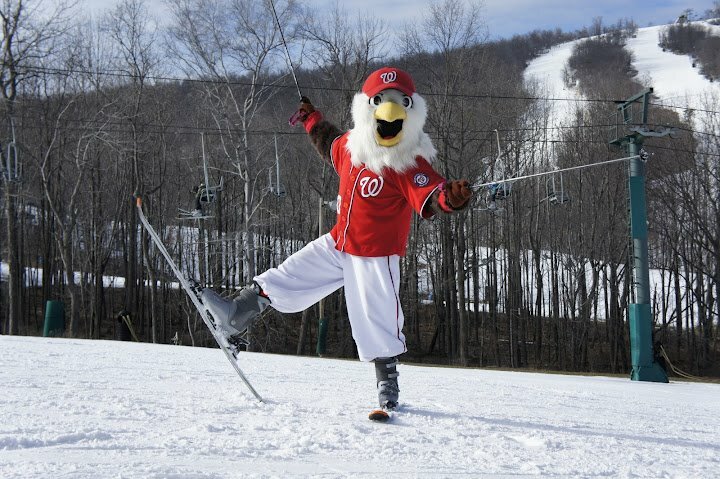 I wasn’t sure how good of a skier I’d be, but surprisingly, it was kind of like rooting for the Washington Nationals; it came easy for me. I took a couple runs down the beautiful mountains and had a great time. There was one run that stood out from the others, the run that I happened to find myself skiing next to two Colorado Rockies fans. You’ll have to check out our games against the Rockies this season to see what happened! 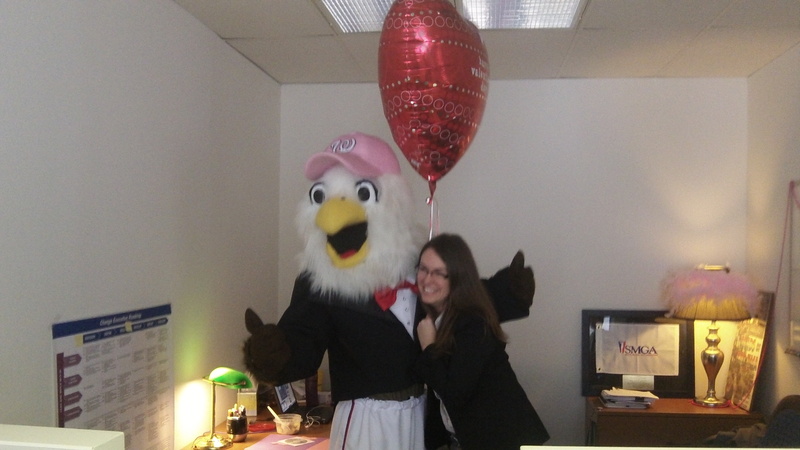 One of my favorite holidays of the year is Valentine’s Day. 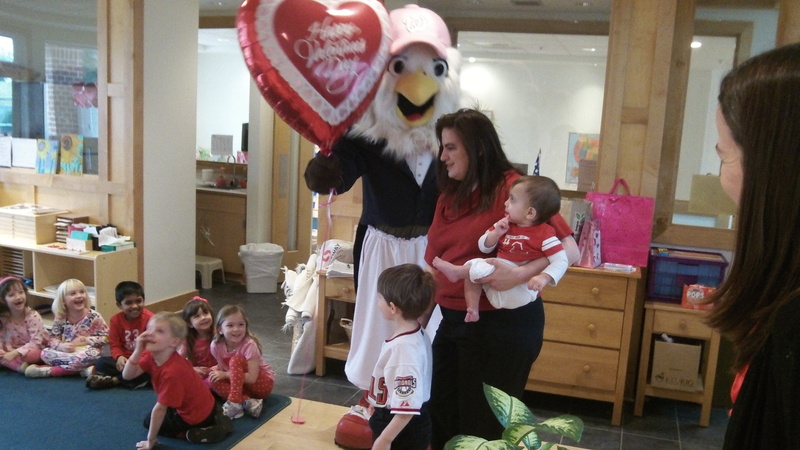 I love it because I get to surprise people with a Valentines visit from their respective lovers or admirers. 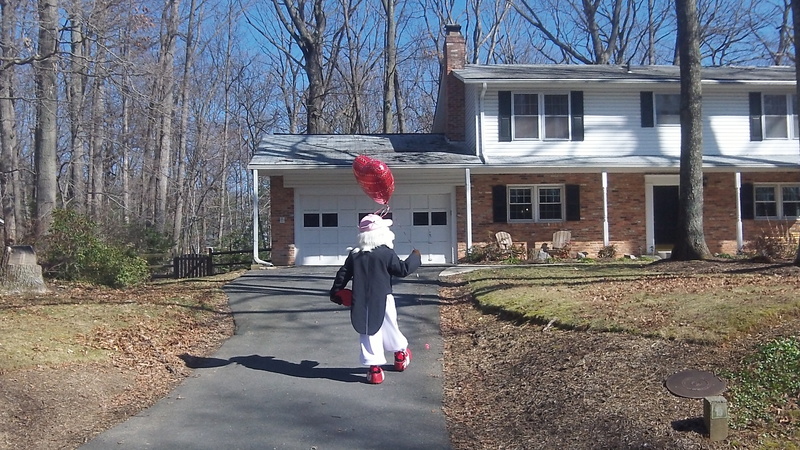 This year I spent the entire day around the District stopping in office buildings, homes, and schools delivering balloons and chocolates to unsuspecting beneficiaries! Check out some of the great pictures of my adventures on the road helping make others stay in love! Finally, there’s no bigger indicator to me that the Nationals season is about to begin than the celebration of Truck Day! This year Truck Day took place on February 10th. As always, I helped the movers load all the training equipment onto the truck before they head down to Viera, Florida. Spring is just about here! Check out the video!